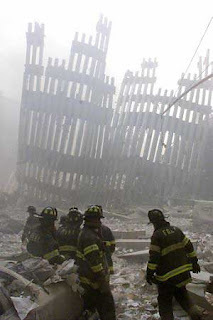 I am sure that most Americans remember where they were and what they were doing when they heard the awful news that a plane had struck one of the Twin Towers. The memory is emblazoned in my mind forever. I was working in the emergency department when a registrar told us that a plane hit one of the Twin Towers. We turned on the radio at the desk to find out what happened. The second plane hit the other tower and this cold feeling came over all of us. We knew it was not an accident. Patients dwindled to almost nothing as people got the news and stayed at home watching or listening to the news. The place grew quiet--and for an ER, that's very different. Then a plane hit the Pentagon and hysteria broke loose. Everyone started calling their families or their families were calling them. Fear ran rampant. I didn't learn about the plane in Pennsylvania until I got home. A terrible sadness fell over me when I learned of the heroism of those passengers. I'm not ashamed to say that I broke down and wept when the congress sang America The beautiful on the Capitol steps. For days I watched the images of the towers falling, of people in the streets covered in ash looking for their loved ones, of emergency workers trying to find anyone alive and finding no one. It was as though the Earth just stopped moving and I stayed in a state of mourning for all those lost for weeks. 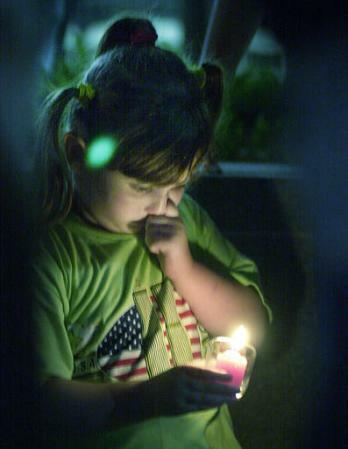 That terrible day 9/11/2001 forever changed us, changed our feelings of safety and how we go about our daily lives. It changed everything. Today, I am remembering that day, all those Americans who lost their lives, all of those who met the horror with bravery and heroism and those of us who will never forget.